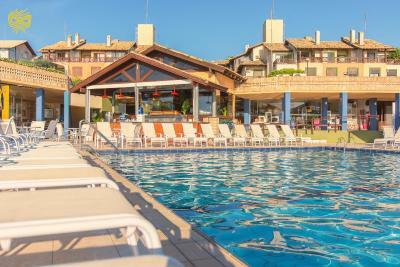 Lock in a great price for Costão do Santinho Resort All Inclusive – rated 8.4 by recent guests! 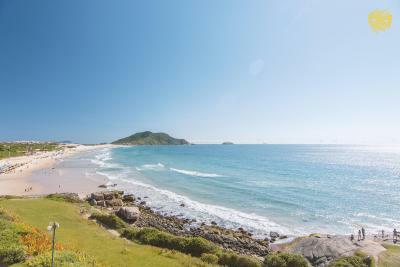 The location of the resort is very good, with many open door activities (like tracks and surf) and a amazing beach. Very good for familys. 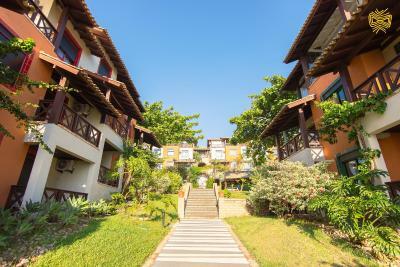 The apartment was even better than expected and the resort was great. Superb location with stunning views and beautiful coastal walks. Excellent buffet meals. Friendly staff. El hotel es muy grande y hay muchísima vegetación. El personal es muy amable y educado. Cuando consulté algo me trataron de ayudar. En el buffet están siempre pendientes de atenderte y limpiar las mesas. Las chicas del sector turismo son amorosas. La comida es buena y variada en el buffet, en especial en el almuerzo. Mucha variedad de postres. El flan es riquísimo. Hay muy buenas tortas. El bar de snacks está buenísimo. Tiene cosas dulces y saladas y hasta helado, café, jugos y cerveza. Está abierto de la mañana a la noche. La pileta climatizada es una gran ayuda cuando el agua del mar está muy fría o el día está feo. El camino de madera subiendo el morro está genial. Desde allí se tienen unas vistas espectaculares. El camino ecológico entre vegetación hasta la laguna (o siguiendo hasta la playa Mozambique) está buenísimo. Una experiencia distinta. La playa anchísima y muy limpia, una de las mas lindas que vi en mi vida. 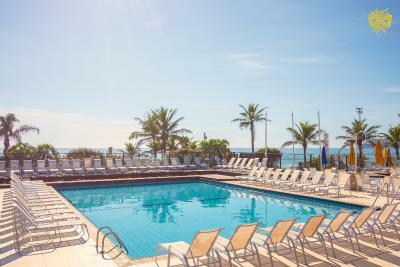 Costão do Santinho Resort All Inclusive This rating is a reflection of how the property compares to the industry standard when it comes to price, facilities and services available. It's based on a self-evaluation by the property. Use this rating to help choose your stay! 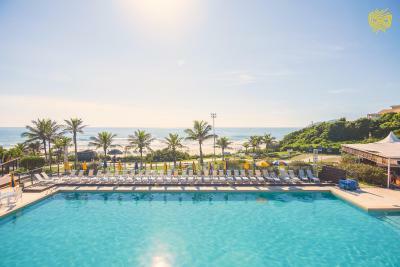 One of our top picks in Florianópolis.This award-winning resort on Florianópolis´s Santinho Beach is surrounded by native forest and archaeological sites. 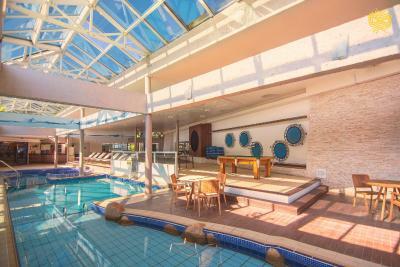 It features 6 restaurants and a luxury spa. Sports facilities include swimming pools, paintball, golf and tennis. Free WiFi is available throughout the property. 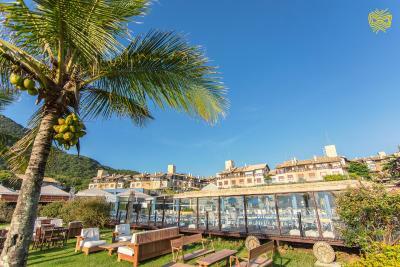 The accommodations at Costão do Santinho Resort offers picturesque garden views, cable TV and ambiance music. Some rooms have a barbecue and private parking. A children´s club organizes monitored activities. For guests of all ages, there are visits to wild life sanctuary Morro das Aranhas Mount. 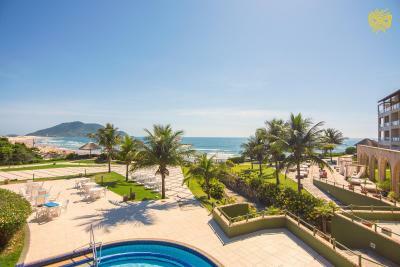 In addition, the resort hosts performances by popular Brazilian singers. 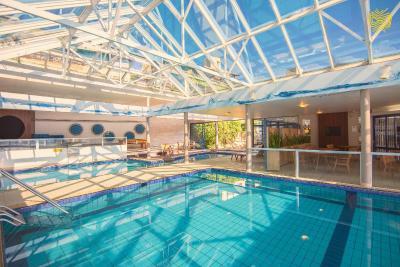 The spa provides several choices for treatments, from detox to talassotherapy. 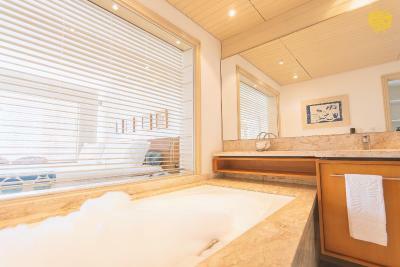 Guests can have a relaxation massage or a hydromassage session. A beauty salon is available too. As for gastronomy, the casual Rancho do Pescador specializes in seafood recipes from the Azores and Santa Catarina, and Nossa Senhora Vitória features an international contemporary menu. Other options include Italian food, japanese food and barbecue. 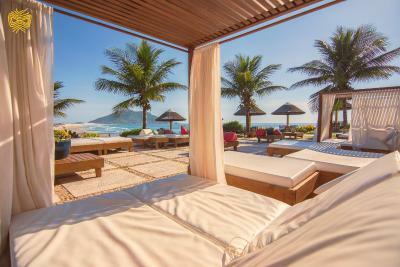 Costão do Santinho has been awarded as best beach resort in Brazil 7 times. 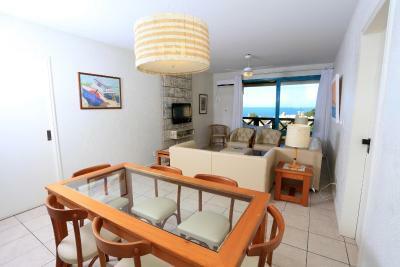 When would you like to stay at Costão do Santinho Resort All Inclusive? With garden views, this apartment has a dining room, a kitchen and a barbecue grill. 1 child under 3 years old stays free of charge when sleeping on a crib. This room includes a balcony and a hot tub. This room does not fit an extra bed. 1 child under 3 years old stays free of charge when sleeping on a crib. 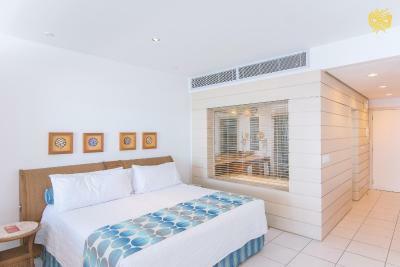 With garden views, this air-conditioned room features a cable TV, minibar and safe. 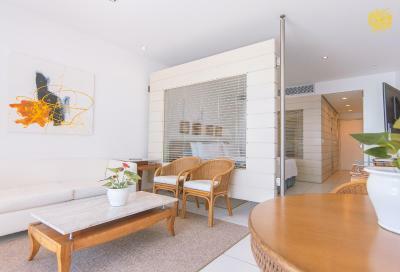 With a balcony and stunning views, this spacious apartment features air conditioners, a living room and a dining room. 1 child under 3 years old stays free of charge when sleeping on a crib. 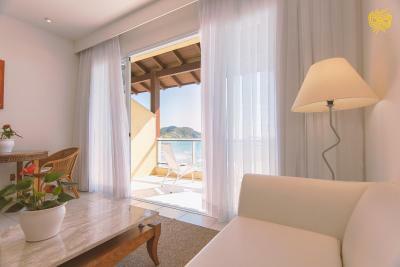 House Rules Costão do Santinho Resort All Inclusive takes special requests – add in the next step! 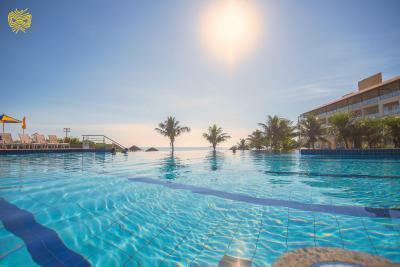 Costão do Santinho Resort All Inclusive accepts these cards and reserves the right to temporarily hold an amount prior to arrival. Be aware that guests must select the number of installments, if not, property will charge the full amount of the reservation. Please note that payment in installments is not available for mobile devices. In case you are interested in such possibility, please contact property directly.